The senior population in America is on the rise. Almost 15% of residents fit into the 65 or older age category according to census data from 2014, an increase from 12.2% at the beginning of the 21st century. Advancements in medical technology are increasing lifespans and quality of life for seniors, and innovating new medical procedures such as joint replacements and disease treatments. Often, a senior who has undergone such a procedure will need recovery and rehabilitation aftercare, but not necessarily a complete move into an independent or assisted living residence. Usually what is required is a short stay in a dedicated facility to assist the individual with regaining strength, mobility, and independence until they are ready to return home. 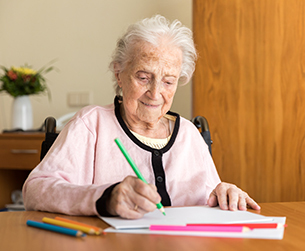 Provide Individual Activities: If the resident doesn’t want to participate in daily games or planned activities in the facility, offer individual pastimes like puzzles, movies, or art supplies. Ask for Their Assistance: Residents enjoy taking part in activities that allow them to feel useful. Whatever causes or projects you have in your facility, offer the opportunity to be involved to your short-term residents as well to see if they’d like to participate. 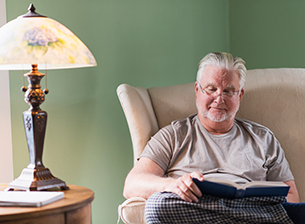 Give Them Reading Options: Providing a selection of books, magazines, or the daily newspaper will let individuals who may be tired or sore from rehab relax and find a comfortable space to enjoy them. The chance to get lost in a book may be just what is needed to help some residents get on track for their recovery. Take Them Outside: Where possible, bring them outside if they’d like. Fresh air, sunshine, a nice breeze, and nature all provide a good feeling and uplift people’s spirits. A walk around the facility’s grounds, or even just sitting outdoors can all encourage that natural positivity. Add Homey Touches: Warmed blankets, a morning coffee, or an evening chat about a favorite show can go a long way to aiding the recovery process. When a resident feels comfortable and cared for, getting better comes much easier. At The Holiday Skilled Nursing and Rehabilitation Center in Manville, Rhode Island, we offer support for resident’s recovery. With customized care plans, our experienced nurses look after patients as if they were their own family. Our state-of-the-art services cater to individual’s unique needs, and ensure they receive the best care. Our entire establishment is located on one floor, providing easy access for all.